Parents of a preemie baby often feel helpless in the NICU. While clinicians provide lifesaving treatment around the clock, a mother or father by the bedside asks, “What can I do to help?” At the Baylor University Medical Center neonatal care unit, the KangaREAD Program gives parents a purpose in the form of books. It’s a play on the concept of “kangaroo care,” which encourages skin-to-skin contact between a parent and child, but with this program, the contact is words. Hearing words, any words, many words — it helps build a robust brain. For a parent with a child in the NICU, finding words can sometimes be a challenge. But with a book, all the parent has to do is read. Pediatrix Medical Group of Texas, an affiliate of MEDNAX, has always been an advocate for reading to infants. Premature babies may struggle with delays in speech and development, which is why Dr. Suterwala has prescribed reading for more than 20 years. Only recently was the practice formally introduced to the NICU through the KangaREAD Program. In 2015, Rowena Cadungog, a nurse on his team, approached Dr. Suterwala with an idea to bring reading into the Baylor NICU. Cadungog had been a mother to preemies herself 15 years earlier, and she knew the value reading had on her twins’ success. She also remembers the stress relief it provided for her. Dr. Suterwala became an immediate champion for the cause. “At its core, it’s a simple idea,” he said. “We all know the value of the spoken word on an infant’s brain development. 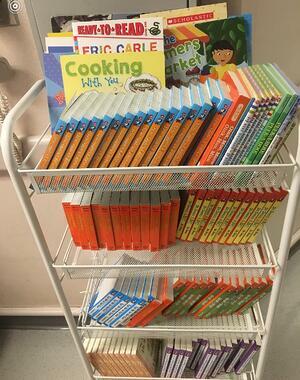 What the KangaREAD Program does is formalize the concept and put it into practice for our NICU patients and their parents.” Baylor University Medical Center welcomed the idea and helped launch the program with a grant to purchase the first batch of books. Rhyming Dr. Seuss books are a favorite, along with many other popular children’s stories that parents often remember from their own childhoods. Bilingual books are also available, meaning no parent is excluded from participating in this program. Beyond the book that gets each parent started, a family is able to add to a baby’s collection while in the NICU. The more words the better. The KangaREAD Program supports a developing baby’s brain through providing a vast number of words to hear and process; the benefit of this is well documented. But the second layer of care this program delivers is to the readers themselves: the parents. While clinicians can tell a parent to talk to a baby, stress and exhaustion are commonplace for NICU moms and dads. By placing a book in the hands of a parent, the KangaREAD Program replaces the need to search for the right words. The Baylor NICU is only one of a handful of neonatal units to formalize a reading program, but the idea is catching on. “Every week, we receive five to ten emails from colleagues across the country eager to learn more about our KangaREAD Program,” he said. If you are interested in bringing a reading program to your NICU, you may contact Dr. Suterwala at mustafa_suterwala@mednax.com. Mustafa S. Suterwala, MD, has been with Baylor University Medical Center in Dallas, Texas, for 16 years. He completed his medical degree at Grant Medical College at the University of Mumbai and his residency at Children's Hospital of Michigan. He is board certified in pediatrics.